Your maple might be already turning red, up here in Ottawa, but if the leaves on your tree have been brown or pale yellow since the middle of summer, this is a sign of illness in the tree. Excessive out of season falling is always noticeable, but if the leaves stay connected while their colours change, this can also be a clue that something is wrong. Another thing to be on the lookout for is leaf scorch. While easily confused for a more serious systemic infection of the whole tree, if you are noticing small white or yellow patches at the outside rim of the leaves, this could simply be scorch. Surprisingly, trees can get sun-burned too! Scorch is more common in high sunlight areas, but can occur anywhere during the summertime. While not harmful to the entire tree, scorch marks can damage the look and appeal of a tree. If you unsure about the nature of your leaf issues, it’s always a good idea to consult an expert. Every tree is unique, and all the twists and turns are what give it charm. But if you notice something, or any irregularities growing larger, it is time to take a closer look. Depending on the species, your tree’s bark will have a different texture. However, there are some overarching guidelines that can help you. Always try to inspect the bark of a tree when it is dry. Recent rainfall can have an effect on the feel of tree bark and might give you the wrong idea about the health of your tree. Generally, bark should be supple, yet firm. If it has been a few days since the last summer storm, and the trunk still feels spongey, this is cause for concern. Likewise, if pieces of bark snap off much too easily, or worse, are shedding themselves on your lawn, your tree is unwell. Despite being nestled underground, your trees root system can still sustain damage. The roots are a tree’s lifeline; any illness or damage in the root system can quickly spread throughout the entire tree. Heavy rains that aren’t draining well can cause roots to become waterlogged and potentially grow mold or rot. The parts of the roots that you can see above ground are especially vulnerable: if your lawn mower runs over them, or even if a child’s bike is driven too close, small fractures can be made in the most vital part of the tree. Not all sick trees are beyond saving, but having a sick or damaged tree on your property poses a risk to the house and your family. 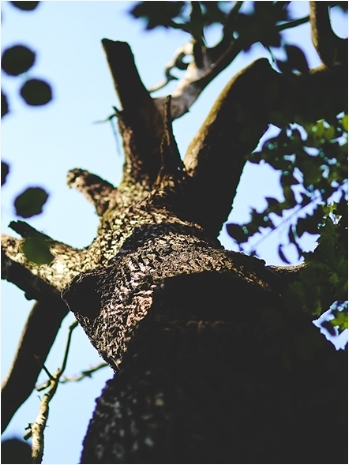 If you have any concerns about the health and safety of your tree, please contact the arboreal specialists at Rock’s Tree Service for a consultation today.